Roger Mayo lived in Blendon as a child and it intrigued him. In the sixties you could still see the half-drained lake, Jay’s Cottages, the old lodge and the old horse trough that stood outside the Three Blackbirds. Then in 1994 on a trip to Bexley Local Studies he discovered that his old home in The Sanctuary appeared to ‘sit’ completely within the walls of the old Hall. There seemed to be a story to tell and Roger wanted to share this with others who may be interested. In 1994 he met Jim Bowyer, son of D. C. Bowyer who bought the 84 acre estate and Hall in 1929, and he became a source of great encouragement and enthusiasm, not to mention information on Blendon. Tremendous interest in the history of the estate was shown by residents, both past and present. 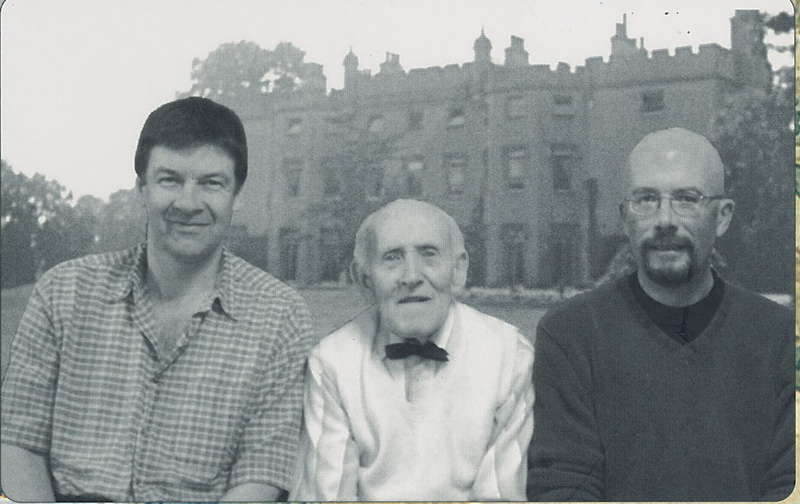 Leaflet-dropping in 1999 led to Roger meeting Geoff Holland and they have worked together on the project ever since. In spring 2000 they spoke with local residents, examined artefacts and explored unusual garden features. In July 2000 an audience of 250 people packed into the hall of St James the Great, Blendon for the first talk on the Blendon Hall Estate. This, and an article in the News Shopper, led to more lines of enquiry and two further public talks in 2001. Roger Mayo’s book, ‘Blendon from the earliest times‘ was published in 2002. Active historical research and archaeological excavation has continued ever since, adding to our knowledge of Blendon.